A Hispanic leader in Pasco, Washington has called for the US DOJ to investigate the fatal police shooting of an unarmed Mexican national chased by cops and reportedly tossing rocks at cars. The incident sparked mass protests against police brutality. Felix Vargas, chair of a mostly-Hispanic business owners association, has written a letter of complaint to US Attorney General Eric Holder seeking a probe into whether the constitutional rights of Antonio Zambrano-Montes, 35, were violated as police pumped “about 15 rounds” into the unarmed man amid a crowded intersection on Feb. 10. A YouTube video of the shooting has elicited outrage on an international scale, as it shows three Pasco Police Department officers confronting Zambrano-Montes at a busy intersection. They are seen firing at him at close range, then when Zambrano-Montes attempted to hobble across the street, police chased him and are seen firing several rounds as the suspect stands mere feet away, possibly attempting to surrender. The family of Zambrano-Montes, an orchard worker according to the Seattle Times, has filed a $25 million wrongful-death claim against the city. The incident recalls the fatal shooting of unarmed black teenager Michael Brown by Ferguson, Mo., police officer Darren Wilson in August 2014, a killing that sparked local and national outrage and unrest over police brutality, racial profiling, and a criminal justice system stacked against the poor and people of color. 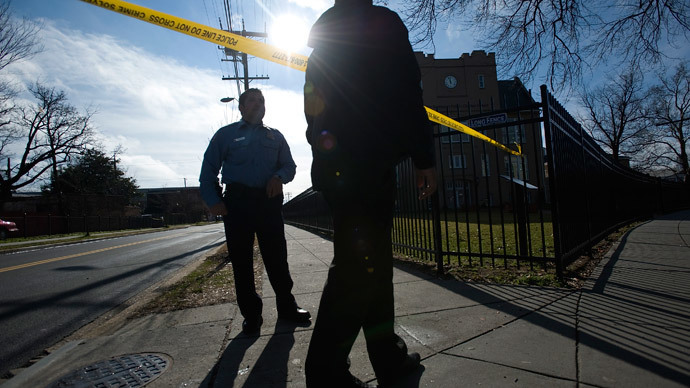 The local Tri-City Special Investigations Unit (SIU), which is conducting its own review of the murder, will have “no credibility whatsoever,” Vargas said, in part because the SIU has allowed officers to walk away unscathed after investigations into three prior police shootings. “Why would anyone believe that the local SIU investigation of the Zambrano killing would yield a different result?” he said. The shooting has been condemned by the president of Mexico and has triggered investigations by the county coroner and the Federal Bureau of Investigation, in addition to the Tri-City SIU probe. Moreover, the US attorney’s office for the Eastern District of Washington has been in touch with local leaders, according to the New York Times, telling them the shooting would receive a complete review. Hundreds of protesters gathered Monday in front of the Pasco Police Department to voice frustration over the killing, according to KING 5, and more protests are planned for Tuesday, the Tri-City Herald reported. The Zambrano-Montes death was the third police-involved shooting in Pasco since July, and the first of a Hispanic man in a town with a population that’s about half Hispanic. Ryan Flanagan, one of the officers involved in the latest shooting, was accused in 2009 of racially profiling and using excessive force against then-30-year-old Maria Davila-Marquez. The officers, seeking a teenage girl, could not match Davila-Marquez to the suspect, yet Davila-Marquez, a naturalized citizen who struggled to communicate with the officers based on her poor English, was still aggressively handcuffed and arrested when they could not find her name in their computer system. Following a lawsuit, the case was settled in 2013 for $100,000. The city and the two officers did not admit to any wrongdoing. Despite a large Hispanic population, Pasco has only 14 Hispanic police officers out of 68 total, and only a dozen speak fluent Spanish, according to the New York Times. The five-member school board that oversees a system that is approximately 70 percent Hispanic has no Hispanic representation. Vargas, the business leader who filed the DOJ complaint, said many in the community to do not have faith in a review done by local police. Kennewick Police Sgt. Ken Lattin, spokesman for the SIU, said the investigation will be thorough, and that state or federal officials would be welcomed to review their findings once they are released. Vargas wrote in the letter that Zambrano-Montes may have had a mental illness and had battled substance abuse. “I have every expectation that Pasco will be the one police shooting where people will be held accountable,” he said.